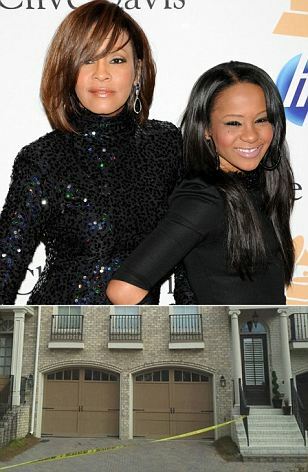 Whitney Houston's daughter Bobbi Kristina Brown has been found unconscious in a bath tub, WSB-TV have reported. The 21-year-old was discovered by her husband Nick Gordon and was revived by police in Atlanta performing CPR before being rushed to hospital. 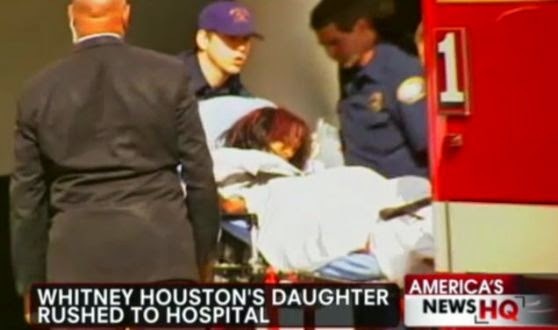 Eerily, her mother was found dead in a bath tub almost three years ago at the Beverly Hills Hilton Hotel. The Serving Overseer of the Latter Rain Assembly, Pastor Tunde Bakare, has said a majority of those that constitute the power blocs in the country are in support of All Progressives Congress presidential candidate, Muhammad Buhari. Do you feel accomplished as an actor? Yes, I feel fulfilled and I thank Almighty Allah for his mercies and goodness. As far as I am not dead, I am still working to be better at everything I do. So far so good, I give thanks to God. Why did you leave your job in the civil service for acting? I retired. I really love the acting profession and I have been doing it for a long time. I began acting even before I started working for the water corporation. I began acting in 1981 shortly after I got a job at the water corporation as an auto-mechanic. I worked at the water corporation for about 13 years before I decided to face my acting career. That was in 1994. I am sure not many people believe that I trained as a mechanic. PSquare’s father, Chief Moses Okoye was laid to rest today at his hometown in Ifitedunu, Anambra State. They started the weekend with s Service of Songs on Thursday after which Peter and Paul paid a courtesy visit to the monarch of the village. On Friday there was a burial mass at St. Gabriel Catholic Church, Ifitedunu. Tens of thousands of supporters of the All Progressives Congress, APC, took Lagos by storm as they defied the early morning shower on Friday to give a rousing welcome and support to the presidential candidate of the party, General Muhammadu Buhari and his running mate, Professor Yemi Osinbajo. 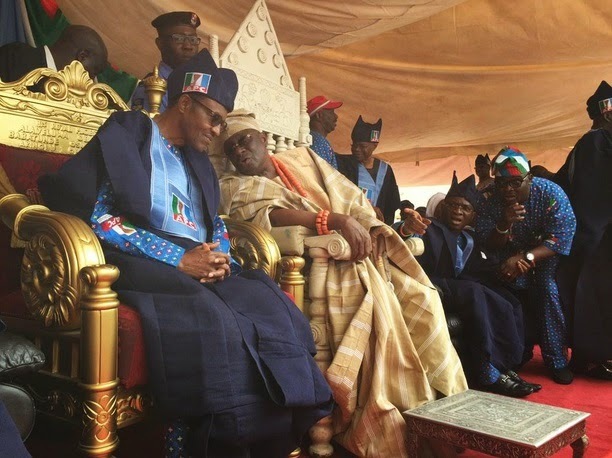 The carnival-like scene was enacted as the party’s presidential campaign train hit Lagos, one of the major strongholds of APC.Teslim Balogun Stadium, Surulere, Lagos, southwest Nigeria, venue of the rally, witnessed an unprecedented crowd of party faithful from all walks of life. The ruling Peoples Democratic Party (PDP) accused five of its governors of supporting the presidential candidate under the platform of the opposition All Progressives Congress (APC), Muhammadu Buhari, ahead of the February 14 election. According to the top PDP official the governors were secretly mobilising support for Buhari for getting at least 25 per cent of the total votes cast in their own states to improve his chances of winning the presidential poll. Watch Video: Chelsea on The Voice – This girl absolutely IS on fire! Chelsea has the judges falling all over the place with her outstanding performance on The Voice! She is just a little thing but has the voice of a lion. Chelsea performs, “This Girl is On Fire” by Alicia Keys. She’s got all it takes and more to become the next Aretha Franklin. After Chelsea started singing, two of the judges immediately spun their chairs around to put a face on the beautiful voice they were hearing. The third judge, after a bit of waiting, turned his seat around to see Chelsea in all her glory, singing with so much power! It immediately brought him to tears, causing him to fall to the floor praising her! Our attention has been drawn to a statement credited to the President and founder of the Living Faith Church worldwide, also Known as Winners’ Chapel, Bishop David Oyedepo, which has gone viral. He was reported to have made the statement last Sunday when the President of the federal republic of Nigeria, Dr. Goodluck Ebele Jonathan came to worship at Faith Tabernacle, which is the headquarters of the ministry. Well, let’s set the records straight: The Press and Publicity Unit of the church, publishers of Faith Tabernacle News, was at the 3rd service and recorded (on tape), the President’s 6-minute speech, the congregational prayer for him and the Bishop’s blessing on the President. There is serious heat in the campaigns leading to February 14 presidential election. It is only a serious and very deliberate game changer that can stop the APC candidate, General Muhammadu Buhari.As you read this, African Independent Television (AIT) has suddenly stopped an online poll where Buhari was resoundingly beating President Goodluck Jonathan. Buhari’s lead in the poll was despite a sponsored documentary against him that was being repeatedly shown on AIT stations across Nigeria, and online. Sources who spoke on the development say President Jonathan has a very limited time to change his campaign strategy, especially online, before it becomes too late. Know Your Enemy UK Drivers Warned - 20 Different Kinds of Cameras Spying On Motorists - Spot Them Before They Spot You! Every time you drive in Britain, you’re spied on. 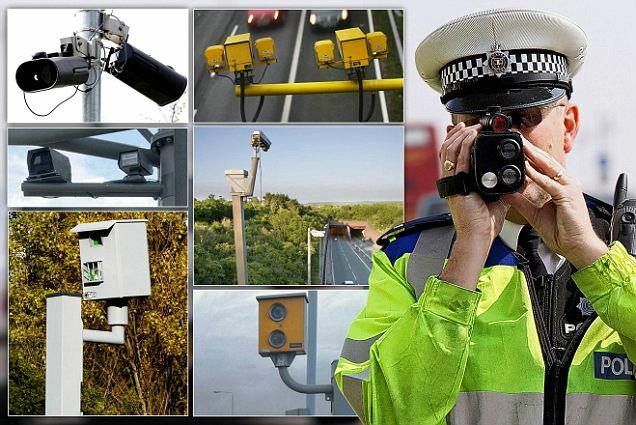 Countless thousands of cameras monitor your speed and record your car’s number plate. And there are at least 20 kinds — some gathering data for experts to analyse, others helping police catch criminals and manage traffic flow. But the most despised are those supposed to ‘improve road safety’, which seem to be little more than fine machines. Each year, £284 million is collected in speeding fines. Recently, it was revealed that one, called the Hadecs3, trapped 668 drivers on a stretch of the M25 in Kent in ten days. So who gets the cash? Most of the money goes to the Treasury. Your fine might not improve the road where you were caught, but you may help to cut the national debt. Here, GUY WALTERS helps you navigate your way past all the cameras . 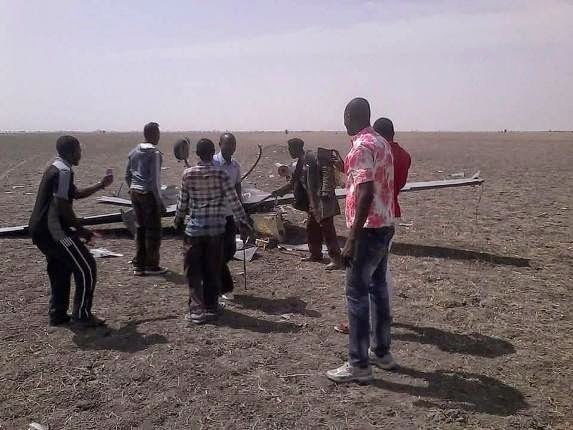 . .
Borno state government media aide's Facebook account - (KSM News) says a fully armed drone allegedly crashed in Mafa LGA of Borno state yesterday. Controversial cleric and shepherd of Celestial Church of Christ, Elisha Parish, Prophet Marcus Korede Oluwatosin Tibetan has predicted the disgrace of President Goodluck Jonathan in 2015. In an interview with ENCOMIUM Weekly, Tibetan gave more alarming prophetic revelations, while insisting there would be no bloodshed in the land. Sir, there is so much anxiety in the political landscape and 2015 is already pregnant with fears, as a seer and an anointed prophet of God, what should we expect in 2015? What You Didn’t Know About Jonathan’s “PhD” Qualification – A MUST READ! A former Chief of Army Staff, Lt. Gen. Theophilus Danjuma (retd. 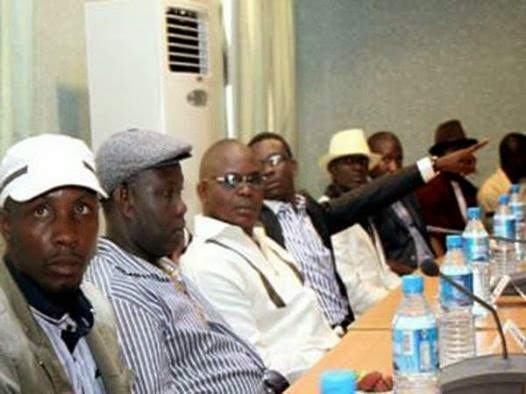 ), has called for the arrest of an ex-Niger Delta militants, including Mujahideen Dokubo-Asari and Government Ekpudomenowei(akaTompolo) for threatening to declare war against the nation if President Goodluck loses the February 14 election. Danjuma, who described the threat as “unguarded and reckless,” warned that “miscreants” must not be allowed to hold the country by the jugular. Supermarket giant Tesco has named the 43 stores it is closing across the country, a move that will see 2,000 staff lose their jobs. The company is currently informing staff at the affected stores. The Express and Home Plus stores will close on 15 March with the Tesco Metros and Superstores on the list closing on 4 April. Peoples Democratic Party (PDP) leaders seem to be hanging on tenaciously to their puerile stand that All Progressives Congress (APC) presidential candidate Gen. Muhammadu Buhari has not come clean on its academic qualifications. 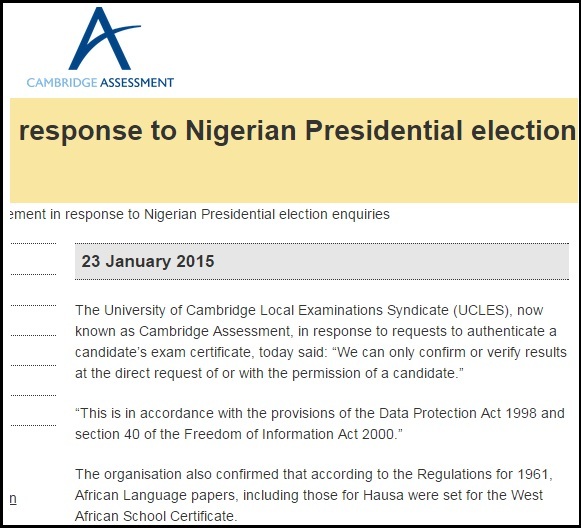 It emerged yesterday that the PDP Presidential Campaign Council manipulated a Cambridge University e-mail to justify its claim that Gen. Buhari’s West African School Certificate’s statement of result was forged. A woman arrested for slashing the throats of her two-year-old daughter and six-month-old twins said she tried to kill her crying babies so they wouldn’t disturb her husband. Christina Booth, 29, said she hit ‘breaking point’ when she put her children to bed and all three began crying at her home in Olympia, Washington. A cat that was written off for dead after being hit by a car clawed itself out of its grave and made its way home five days later. Bart, who was found motionless in a pool of blood over a week ago, was pronounced dead by local vets in Tampa, Florida, and buried by his owner Ellis Hutson. The General Election campaign for the Tory party got off to an interesting start this morning. First up was a tour of Heck’s Farm Cider Farm, in Somerset, with the prime minister, the chancellor and owner Chris Hecks. What a great photo opportunity. This is one of the funniest segments on Jimmy Kimmel Live that I've ever watched. The well-known television host decided to put a theory to the test after hearing about a survey claiming that women were more inclined to experience road rage than men. Kimmel sent a camera crew to Hollywood Boulevard to interview kids about the worst thing they've ever heard Mommy say, and the results are simply hilarious. Tanzania's albinos are being 'hunted down like animals' as greed for money and influence drives families to turn on their own loved ones in a trade allegedly fuelled by some of the country's most powerful people. It is believed albino body parts will bring a person wealth, or luck - and for that, people are willing to pay as much as $3,000 or $4,000 for a limb, or as much as $75,000 - about £50,000 - for the 'full set', a whole body. People with albinism are regularly attacked by people who chop their limbs off - an act which either leaves them severely mutilated, or dead. Amid uncertainties and myriad of challenges facing real estate development in Nigeria Saunders Development Company, a subsidiary of Sankore Investment, has projected an upward swing for the value of housing development in Ikeja in the next five years. This, according to the development company, is hinged on the urban renewal programme of government as well as other economic indices such as the growing middle class, accessibility to facilities, convenience, and proximity to Central Business District. This was revealed at a Buyers’ Forum organised by Saunders Development Company to unveil its Laird Place, Allen project. Just not long after Annie Idibia said in her interview that she wished she was the mother of all Tuface’s kids, there is a picture going on around of her husband Tuface kissing one of his baby mamas in the club! 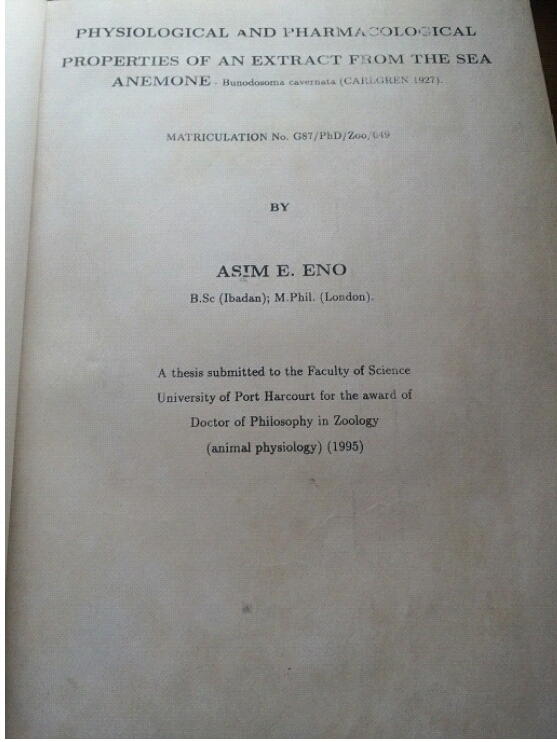 Pero Adeniyi. According to reports, the picture of 2Face and Pero together was supposedly taken as recently as a few days ago when the two of them bumped into each other at one of 2Face’s clubs in Lagos. The Controversial Rumours, Death & Burial of Bola “Bims” Amole, London Food store Owner. The death and burial of Prominent London African Food store owner, Bola Amole “Bims” has generated so much controversy. The Popular South London Food store proprietor died in Ibadan, Nigeria, after having gone home to contest for a Senatorial seat on the platform of Accord party on under the leadership of senator Rashidi Ladoja. After her untimely demise, there were unfounded rumors that she was killed by hired assassins, this we can confirm is not true, she died in her home possibly from a heart attack or other related medical reasons like cardiac arrest which we can not confirm except her doctors. Another Nollywood heartbreak. After 17 months of marriage, Toyin Aimakhu and Niyi Johnson are said to have called it quits. According to report, “sources allege that the couple have been living apart for over three months but have been trying to hide it from the press.. Inside sources say that that Toyin and Adeniyi broke up due to infidelity,which had eaten deep into their marriage.” The couple are said to have moved out of their Lekki, Lagos residence. Late King of Saudi Arabia, king Abdullah bin Abdulaziz who passed away on Jan. 22nd, 2015 had 30 wives when he was alive. He’s pictured with some of them! National leaders of the Peoples Democratic Party’s (PDP) are believed to upset with the party’s Presidential Campaign Council over the controversy surrounding the secondary school certificate of the All Progressives Congress (APC) presidential candidate, General Muhammadu Buhari. The Nation reports that northern leaders are unhappy with the campaign council for ‘ridiculing’ Buhari over the school certificate issue when the facts are obvious. The Nation stated further that the campaign has backfired on President Goodluck Jonathan and may affect his chances at the polls. John Kerry US Secretary of State In A Meeting With Gen. Buhari, Bola Tinubu, Oyegun, Amaechi & Other APC leaders. John Kerry, US Secretary of State in a meeting with GMB, BAT, Oyegun, Amaechi and other APC leaders. The meeting was called at the instance of USA to discuss peaceful conduct of 2015 general elections. 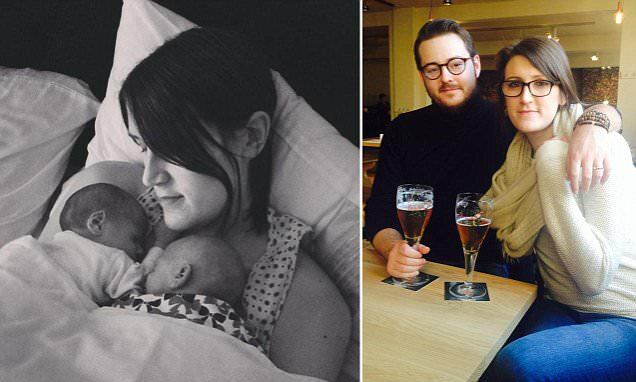 When the video was shown to the husband, his initial reaction was to dismiss the whole scene as a concocted fairy-tale- a sick joke that his haters had pulled, to embarrass and diminish him. How could his wife who had given him four beautiful kids and was there for him as ‘the rock of Gibraltar’ be caught in such a lurid act? His wife was a respected member of the Nigerian community in Maryland, United States and was the hardworking and successful manager of nurses in a reputable Washington DC hospital. But what he didn’t understand was that the video he was being shown had already gone viral and practically every member of the Nigerian community spread all over the continental United States had viewed it several times and were all shocked and filled with righteous indignation over such an embarrassing conduct by an otherwise happily married woman. Despite the fact that Nigeria is a colonial contraption and was a colony of Britain, the unwholesome behavioural patterns and conducts of some Nigerians in the Great Britain have cultivated unmitigated hatred and opprobrium towards Nigeria and Nigerians domiciled in the UK from the Government of Great Britain. This sometimes have actuated diplomatic face offs between Nigeria and the Great Britain which have been deflated by diplomatic niceties and laundering of memorable colonial ties . The girl and her boyfriend, George Itietie, who were arrested in Port Harcourt after they had received the sum of N500,000 from the distraught family, are currently being detained by Delta Police Command, despite her regrets, will also have to contend with her parents' anger and abandonment. As Nigeria’s Goodluck Jonathan leadership continues to bog down the nation with insensitivity and nonsensical foolishness, Cambridge has officially addressed and confirmed in a formal notice on its website the “candidacy” of General Muhammadu Buhari, while explaining that it cannot release the results to “perhaps” tons of slightly maligned Nigerians emailing to request copies. In the release, the institution also verified that Hausa was an evaluated course, this obviously in response to ridiculously embarrassing emails they had received from Nigerians. The fact that Nigeria is asking for transcripts of a colonial administered exam of 1961 by a General who is more than qualified by the many standards of the INEC to contest for the February election demonstrates the state of the nation under its current desperate and clueless leadership. Former military President General Ibrahim Babangida yesterday rose in defence of the APC presidential candidate, General Muhammadu Buhari, on the genuineness of his secondary school certificate. Gen. Babangida warned that any attempt to politicise the military would not be in the nation’s interest. “It is a very dangerous thing to do,” he told The Nation in an interview in Minna. He said there was no way Buhari would have risen to the rank of a general in the army without possessing the basic educational qualification. THOUGH many people have used the social network to connect positively, the story of Cynthia Osokogwu who was killed in Lagos State by her Facebook friend in July 2012 sent shivers down the spine of everyone who heard the sad story.